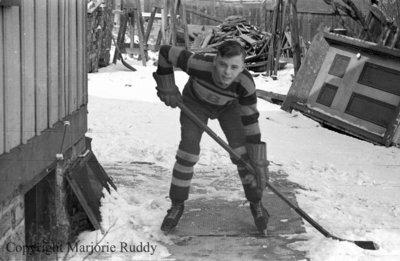 A black and white negative of Ralph McCarl posing in his hockey uniform and equipment beside a house. In this view he is bent over with his hands on his hockey stick. Ralph McCarl, February 1938, Marjorie Ruddy. Whitby Archives A2013_040_947A.